Today we have a informative article about “Anxiety and how to deal with it” from Ilean Jane. But those with anxiety disorder often experience excessive, intense, and persistent fear and worry about everyday situations along with the past and future. Anxiety disorders often incorporate frequent sudden feelings of intense fear that elevates within minutes, also known as panic attacks. These feelings of panic and anxiety are difficult to control, hinder daily life, can last for a long time, and are out of the actual danger proportion of a person. It is more common among older adults, usually because they are not as fit and independent as they were in their younger days. Types: Anxiety is classified into several different types see below. Sudden and frequent feelings of terror and panic attacks without warning are common signs of panic disorders. Heart palpitation, chest pain, dizziness, abdominal discomfort, shortness of breath, and fear of dying are the physical symptoms. People with OCD experience repeated unwanted thoughts and rituals (obsessions and compulsions), which are often uncontrollable. People do rituals, like counting, checking, hand washing, and cleaning are often performed in order to prevent obsessive thoughts and make themselves happy. PTSD is identified by repeated symptoms that occur following a trauma like abuse, violence, natural disasters, or a threat to an individual’s sense of safety or survival. Flashbacks, nightmares, depression, numbing of emotions, anger, startling, irritability, and distraction are most common symptoms. An extreme, irrational, and disabling fear of something that has little to no certain danger, this fear or worry leads a person to avoid activities and objects and cause them to limit their lives. Some common phobias include agoraphobia – the fear of outside world – social phobia, fear of driving a car, certain animals, plants, bridges or tunnels, flying, and thunderstorms. Normally, every person has a little amount of fear for some things but a phobia is an extreme case. Exaggerated, chronic worry for daily or routine life events and activities that lasts at least six months, almost always thinking about the worse can happen even if there is a very small reason to anticipate it. Trembling, headache, fatigue, nausea, and muscle tension are some physical symptoms accompanied by the generalized anxiety disorder. Below are the risk factors associated with anxiety. People of any age who have experienced an abuse or a trauma or have witnessed traumatic incidents in life are highly vulnerable to developing anxiety disorder at some point. A big stressing event or an upsurge of smaller depressing life situation can trigger chronic anxiety. For example, work stress, death of a family member, medical expenses, and ongoing stress of different aspects of life, if not addressed, can cause anxiety. Individuals with certain personality types are also likely to experience depression and anxiety. People who have family members experiencing anxiety are also vulnerable to experience it at some point in life. People abuse substances like alcohol or recreational drugs for many reasons. It is a habit that may form at any age, especially at old age. Alcohol and drugs disintegrate the brains neurochemistry, hindering typical communication among neurotransmitters – the body and brain’s communication chemical that control all psychological and physical experiences. People who are susceptible to anxiety and depression and abuse drugs are highly likely to develop mental illness. Being exhausted of too much workload can lead to stress reactions in the body. Most people admit that they are, not more than, but moderately affected by work stress. Experiencing chronic stress can interrupt the brain’s delicate chemical balance. These people are also vulnerable to depression and anxiety and are also likely to experience long-term stress. PTSD is the most common discusses point due to its prevalence among military members, as they are either a witness or victim of extreme violence that can cause biological reactions, evolving into full-blown depression and anxiety. Feelings of grief caused by the death of a loved one, though painful, may also serve as a good healer. However, chronic grief can cause mental health problems. People with untreatable illnesses may get depressed. Diagnosis or age-related, terminal diseases like Parkinson’s, cardiovascular disease, Alzheimer’s, or cancer often cause a sense of helplessness and panic. If these feelings remain for a long time, they can cause depression and anxiety. There are several ways that can help people manage depression and anxiety. Meditation involves systematic, slowing, and controlling breaths can the calm down the nervous system. Shifting the breathing rate and pattern can stimulate the parasympathetic response of the body. Closing your eyes and imagining a calm and peaceful place can also help in mitigating anxiety. Employing all the senses can make this method even more effective. Visualization can also be paired with as many senses as you can; sight, smell, touch, hearing. If you imagine relaxing at a beach, think about the crashing waves, the warmth of the sun, and the smell of wet mud and salt water. Cognitive Behavioral Therapy can actually change the way people think. If an anxious though occurs, actively hinder and stop it by thinking positive, it neutralizes uncomfortable thoughts causing anxiety. The idea is to change the thought process consistently to reinforce positive neural pathways of the brain and eventually, be more likely to stay happy and oppose the anxiety-causing factors. According to the Anxiety and Depression Association of America, eating healthy and regular meals can minimize the onset of anxiety. Therefore, skipping meals should not be an option under any circumstances. If you don’t feel like eating much, keep some healthy snacks on hand to keep anxiety at bay. Progressive muscle relaxation approach has been found to manage a range of challenges, from chronic pain to lowering anxiety and stress. It incorporates targeting several muscle groups all over the body by tensing, releasing, and relaxing them. Anxiety is a common problem of many people, affecting their everyday life, even relationships. Consider using these tips to mitigate its effects on your life. If it doesn’t help, consult a doctor or a psychologist who can help you take all the stress you have bottled up inside. Seniors, in particular, should take help to find relief from anxiety and enjoy a high quality of life by staying happy and positive. 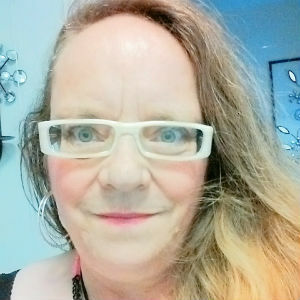 Author Bio: Ilean Jane works as a content writer at Home Care Assistance. She is a fun and adventure loving person and believes that life is all about positivity and helping others find positivity. This the reason she mostly writes about how people can manage the challenges of life at any stage of life.